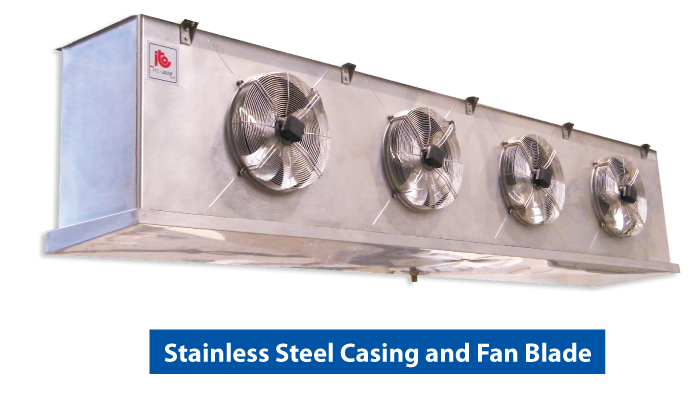 Stainless steel casing, fan guards and fan blades. Meets GMP, inlet and outlet connections are on top. Can be ordered with air sock connection option.